For remote operator assistance, Meta has an entry level product called MetaView which allows the operator to control the position of the weld head from a safe position. 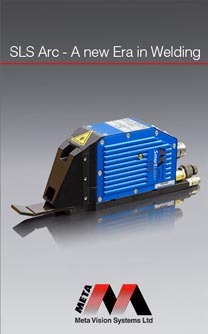 Meta's Smart Laser Probe is well suited to automating tracking on typical single pass welds. For automating multipass welds, Meta's VistaWeld system provides a wide range of solutions up to fully automatic adaptive multipass control.